I stepped off the plane and it was just how I remembered, except this time I was alone. As I entered the immigration area, I was pushed and shoved as individuals tried to get green forms and get in line to exit the airport. An overwhelming feeling came over me, and I thought, “Can I do this? Can I really do this trip by myself?” I put a forced smile on my face and got in line to hand off my form and exit the airport. As I got on the escalator (that typically does not work), I felt the heat of Haiti hit my face. It was all so surreal. I was back in a place that felt so comforting and yet so foreign all at the same time. As I made it over to the baggage area my mind began racing, wondering if someone was going to be outside to pick me up and how I would find them in the large crowd. Filled with anxiety, I continued through the airport towards the exit. And just like that, I saw a familiar face and all of the mixed feelings I felt previously were gone. I knew I was supposed to be here, and I was beyond excited for this new avanti. 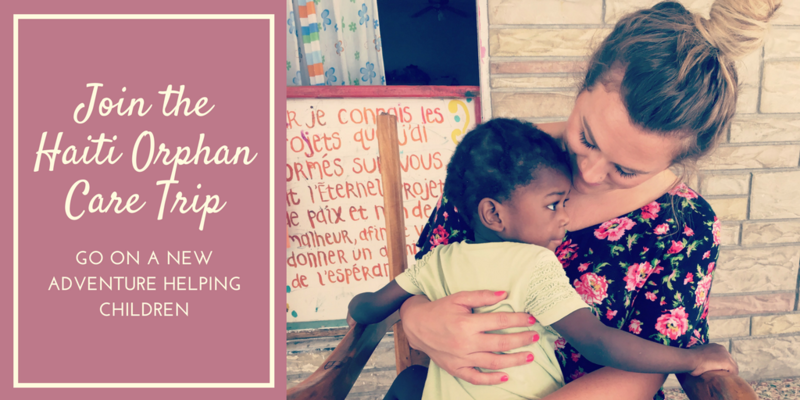 This second trip to Haiti was not only about adoption, but it was also about finding comfort in being alone in another country. So comfortable that I would soon be able to lead my own group in Haiti. I want to help bring awareness to a cause that many people do not know about, I want to show individuals another culture, and I want to present an opportunity to be completely selfless. This has been a dream of mine since my first trip. 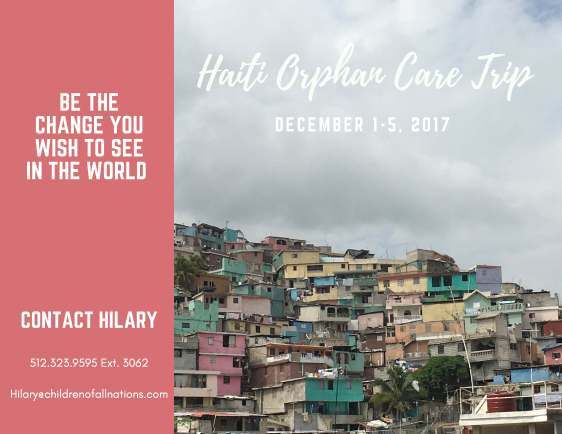 Click here to apply for the Orphan Care Trip!